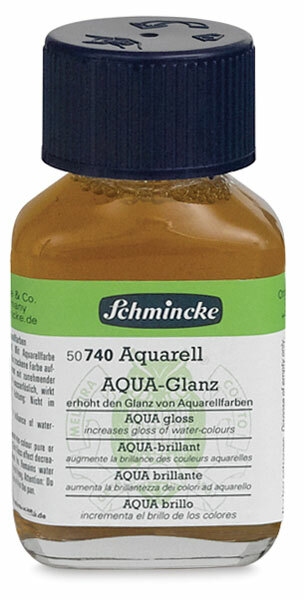 This medium increases the gloss and brilliance of watercolor. It can be applied over dried watercolor or mixed with color prior to painting. The gloss effect decreases when diluted with water. Aqua Gloss retards drying time and remains water soluble.